Asia and its numerous cities are always a hot bed for travellers on vacation. While the tourist spots and attractions should be the priority for travellers, it doesn’t hurt to stay in luxurious hotels to distress your self from the travel and hectic activities of your vacation. Here are some of the best hotels in Asia. Located at Pantai Kok in Malaysia, this hotel is considered as one of the best that Malaysia has to offer as all the rooms, amenities, and staffs are top of the line. Layana is located in Ko Lanta, Krabi Province. The resort is famous for its beach bungalows and the romantic scenery. It is an ideal stay place for honeymooners. As the term implies, it is located in Hanoi, Vietnam. What they say is good about this hotel is that it is located in the middle of a big city but it doesn’t make you feel like you’re in a busy city because of the excellent view, rooms, and other amenities. The Baros is a small island located in the Maldives. It’s a resort best for anybody looking for a secluded and relaxing vacation in the middle of the sea. This place is one of the best that Indonesia can offer. Located in Ubud, the hotel offers a great garden and forestry scenery along with its luxurious suites. Nothing completes a busy vacation in Hong Kong than a stay at the Upper House. This hotel is luxury personified as every little detail is luxurious in every way but maintains the hospitality that every top hotel should have. Located in one of China’s biggest cities, Shanghai, this hotel is a work of art in every detail. The rooms are beautifully designed and have great views of the cityscape and the river. This island is located in the remote Kaafu Atol. 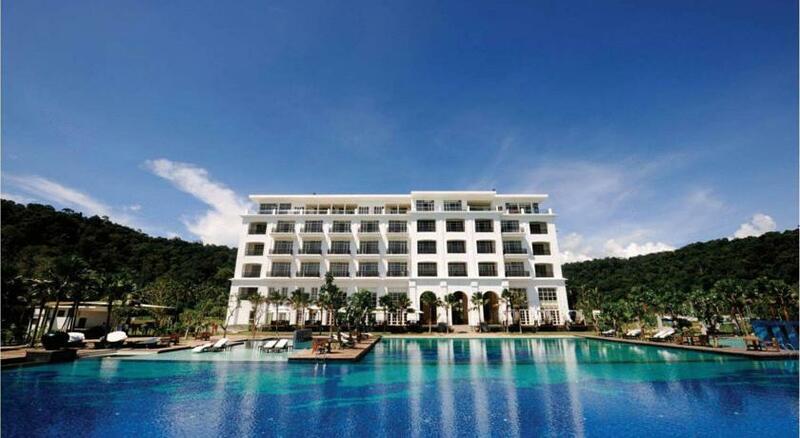 This resort is one of the best escapes in Asia because of the tranquility and serenity of the ocean together with relaxing activities such as swimming and kayaking. If you want the best place to stay in Siem Reap, look no further than the Shinta Mani Club. Although located in a busy city, this beautiful boutique hotel helps you relax as if you’re in a remote resort. Superlatives aren’t enough to describe how amazing the hotel, the rooms, and staffs are. Another resort located in Kaafu Atol, Maldives. This resort is the best place to be for a relaxing and private escape from reality in the middle of nowhere. Everything about this place is amazing whether it’s the food, the rooms, the amenities, and the activities. If you want to personify the phrase “Honeymoon Paradise”, the Gili fits it perfectly.